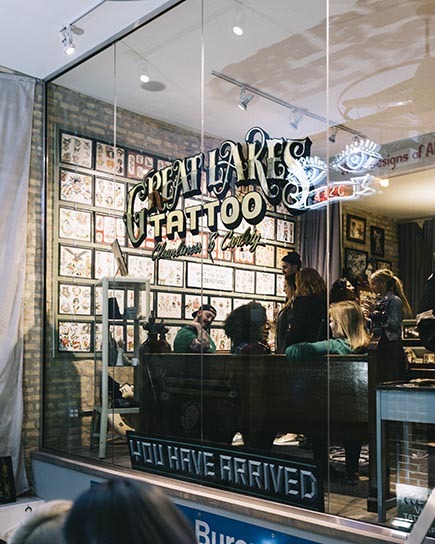 For the second year in a row, Chicago’s Great Lakes Tattoo has hosted their highly-lauded Walk Up Classic. A two-day event, the Walk Up Classic hosted 22 artists from all over North America. 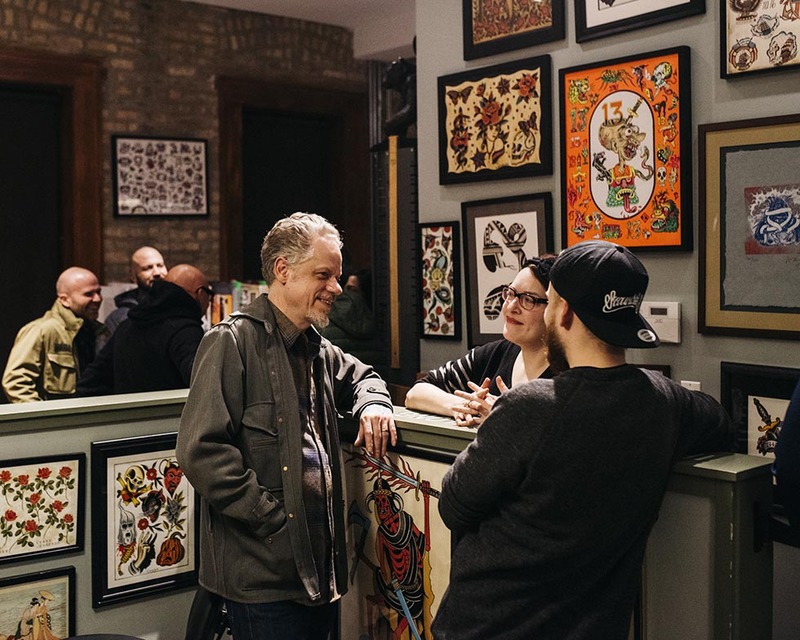 Tattooing designs from flash sheets created specifically for the event, as well as designs from the previous year and the extensive collection on the walls at Great Lakes Tattoo, making for a fantastic event for tattoo collectors and casual fans alike. 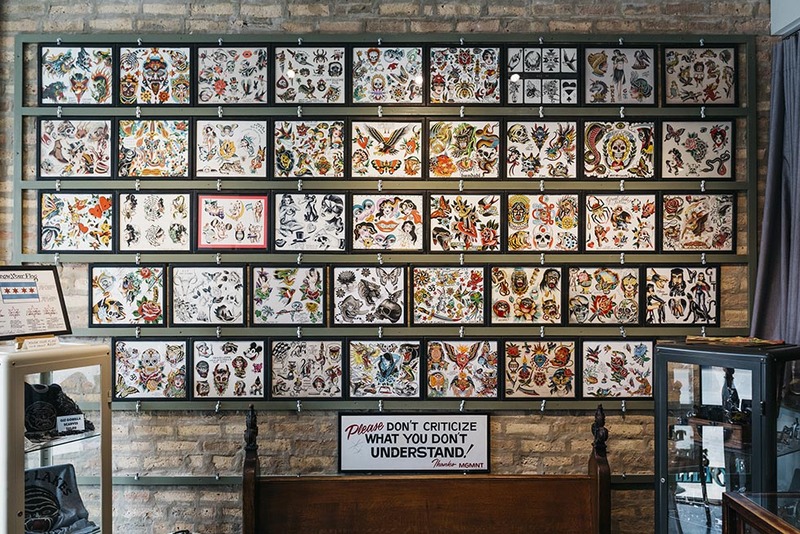 With 206 tattoos completed this year, we wanted to catch up with Nick Colella about how the event went with such an impressive line-up of talent. Walk Up Classic is an event that could rival a lot of tattoo conventions, with an incredible line-up of tattooers. How did it get started? The Walk Up Classic idea started at a hotel breakfast buffet with a bunch of tattooers after a long convention weekend. We talked about how we were tired of the convention grind, and how we love seeing each other and catching up at conventions but that there just doesn’t seem to be enough time. We were always starting early and tattooing late just trying to make up for the financial burden that comes along with doing a convention. There was barely enough time to prepare and tattoo at the convention, let alone sit and have a decent meal and catch up with each other. You must have a pretty great collection of friends as the event has some huge names in tattooing! What convinces them to do some walk up tattooing in such a hectic environment? I am very fortunate to have the friends I have in this tattoo thing. 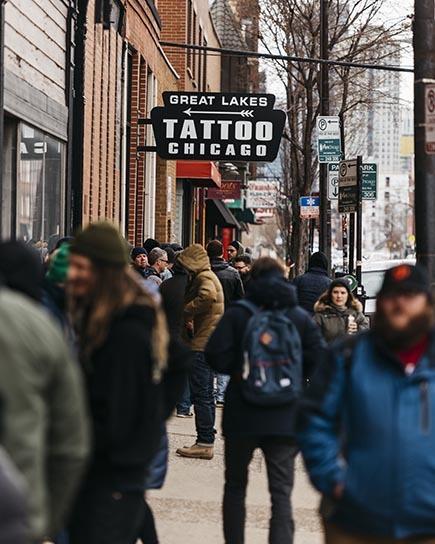 At the Walk Up Classic, we cater to the tattooers and the tattooing, which is what I think is lost with a lot of the present-day conventions. We have an amazing staff that handles everything from organising meals each day to coordinating everyone’s likes and needs throughout the event. Pretty much, the tattooers just show up and tattoo – everything is provided for them. It’s not a hard sell at all. Is it strange to go from huge waiting lists and custom pieces to flash days for those attending? I really think it’s a welcome change. There is so much that goes into huge waiting lists and constant custom tattooing that it’s nice just to be handed a stencil and a customer and be able to just get back to the tattooing part. Plus it’s great to have a shop full of tattooers tattooing off of each other’s sheets and seeing their take on each other’s designs; that’s a really cool aspect that I never saw happening in organising the event. Organising an event like this can’t be easy, how did you tackle setting up such a mammoth weekend around your usual schedule? This event could never happen without the extreme dedication and organisation of my wife Sarah Colella and shop manager Allison Attwood. They do the brunt of the work – they get everything set from the invitations to the sponsors, they are they ones who are the true backbone of getting this event off the ground. How did it feel having all these great artists working out of Great Lakes at once? That’s got to be a good feeling with all the hard work put into the shop.It’s amazing. I am a fortunate man to be in the company of some of the best tattooers in tattooing. With people queuing from 5 am, is anyone turned away without a tattoo? Finally, will there be a Walk Up Classic next year? I think I may have to fly over! Yes, there will be, and we are already starting to work things out. We have some more special guests already lined up! Special thanks to Lyndon French for photographing the event and Stephanie Marlow for all the information and arranging for us to interview Nick in a follow-up to our previous piece on The Inborn Absolute. James was part of the Nine Mag team from the start. With a background in Graphic Design before he started tattooing, he helped create the printed magazine and is behind the transition to the web.